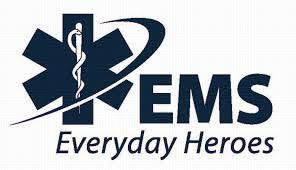 Our EMT'S are state certified and offer professional, compassionate care to those in need. 81 years of highly trained volunteers, providing kind and compassionate care to those in need. We do it because we care about the people who live and work in the communities we serve. Illness or accidents happen in a moment. Your call for help is our biggest priority. We are here for you 24/7, 365 days a year. No holidays for us! And in case you didn't know we do not charge a penny for this service. Our VOLUNTEERS never charge. Our all VOLUNTEER crews are here to answer YOUR call for help 24 hours a day, 365 days a year. Typically we respond to as many as 1600 calls for help including serious medical emergencies, motor vehicle accidents, injuries suffered at home, at work, in school, or on the many sport and recreation fields in our communities. While we are fortunate to have such dedicated and enthusiastic members we are always in need of more volunteers. If you or someone you know would like more information about becoming a member of the Tri-Boro Volunteer Ambulance Corps, please contact membership@tbvac.org for more information via email or by phone at 201-391-2332. You can also find additional information as well as an application under the 'membership' section. You will find participation as a Tri-Boro Volunteer Ambulance Corps. volunteer a personally enriching and rewarding experience...not to mention, a lot of fun! OUR 2018 FUND DRIVE HAS COME TO A CLOSE! Your donations are vital to keep our Volunteers and Ambulances available to answer the call in your time of need. THANK YOU FOR YOUR SUPPORT DURING OUR 2018 FUND DRIVE!!! We invite you to further support us by purchasing an engraved brick paver. Your brick will be placed in our Walk of Fame patio. By purchasing a brick, not only can you show your support but also assist us in our fund raising so that we are better able to continue our VOLUNTEER service to the community. Click here for more details or to print the brick paver order form. PLEASE TAKE A MOMENT TO HELP US TO HELP YOU. A motor vehicle crash, a child choking, an elderly parent who falls in the middle of the night. These are just a few of the many 911 emergencies that your volunteer ambulance corps responds to. The Tri-Boro Volunteer Ambulance Corps (TBVAC) provides service to the residents and visitors of Park Ridge, Montvale, and Woodcliff Lake at no charge - we have never billed for our service! Our Corps is comprised of all volunteer members who are highly trained emergency medical professionals. They are your friends, neighbors, and local business owners. They are available to you 24 hours/day, 7 days/week, 365 days/year. TBVAC wants to continue the outstanding service that you are accustomed to. Because we are a volunteer organization, we need your financial support to do so. Our operating expenses far exceed the stipend we receive from each of the 3 towns we serve. We are very grateful for their support although it is not nearly enough to cover the costs of operation. We continuously must raise funds for necessary capital investments, such as new ambulances, and much needed repairs to our headquarters. We need funds to pay or day-to-day operating expenses and supplies such as oxygen, bandages, and EpiPens to name a few. We are mandated to continuously maintain training requirements. While our fund raising levels have remained constant, our expenses have increased greatly due to advances in technology and increased training requirements and regulations. With over 1,600 calls a year, the wear and tear on our equipment is significant. With that said, we still must raise the necessary funds needed to run the corps on a day-to-day basis, for this we need your help. Remember, with all the uncertainties of life you have the certainty that Tri-Boro Volunteer Ambulance Corps will be there for you day and night. Please help us continue to provide you with that peace of mind. You can make a tax deductible donation now by selecting the PayPal link or mail your donation to, TBVAC PO Box 204 Park Ridge NJ 07656. Interested in becoming a volunteer? Why not consider joining us? Please visit the membership tab on this site for more information or speak to any of our members. With your support we can continue to provide life saving services to the community!